In Many Latin American countries, but specifically Mexico, people celebrate El Día del Niño on April 30th (The day of the Child). Fun activities are held to honor the youngest members of the Mexican society since early morning until the moon appears with her bright light over the starry sky. Children around the world deserve the very best education, opportunities, and services in order to develop their full potential. 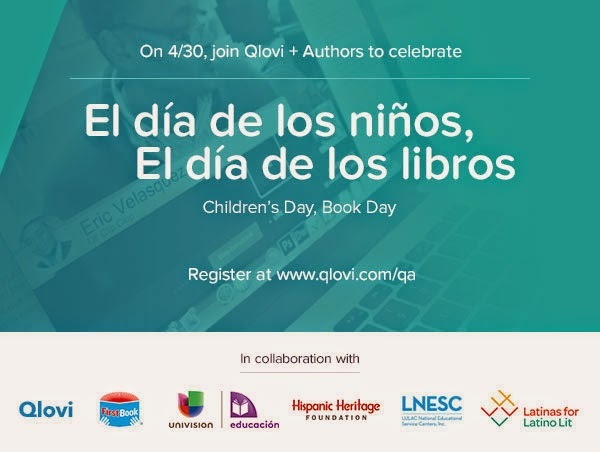 By linking books to El Día del Niño celebration, the children of México and other parts of the world are engaged with literacy while having fun. 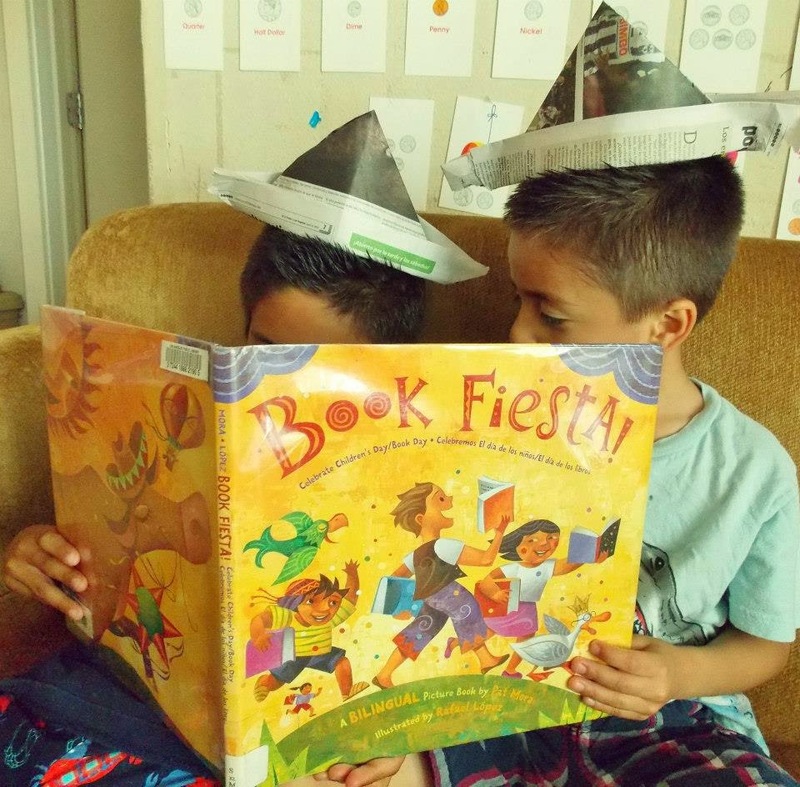 Book Fiesta! is a bilingual picture book written by award-winning author Pat Mora and majestically illustrated by Rafael López. Pat Mora’s exquisite text invites families to read books and enjoy its benefits while riding aboard a train, floating in a hot-air balloon or sailing with a whale. Reading is a magical journey towards success! 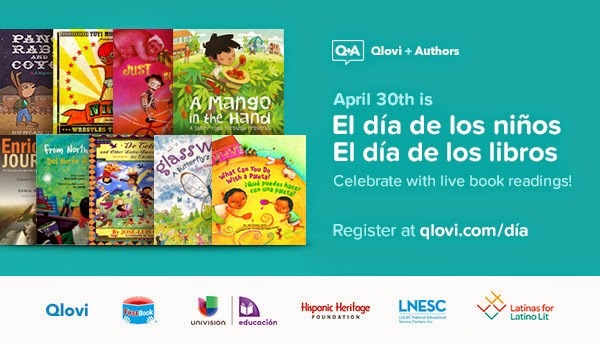 Mora is the founder of the family literacy initiative El día de los niños/ El día de los libros; Children’s Day/ Book Day, now housed by the American Library Association (ALA). Book Fiesta! 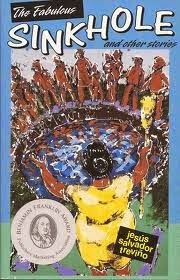 brings families together to embrace friendship, culture and literature. Reading one book at a time creates a strong community of readers. PBS promises the film “removes Salazar from the glare of myth and martyrdom and offers a clear-eyed look at the man and his times. The film, produced and directed by Phillip Rodriguez, includes interviews with Salazar’s friends, colleagues and family members, and Salazar’s own words culled from personal writings” that included a private journal." Researchers can cull through the literary and printed ephemera that a man like Ruben Salazar chooses to accumulate, stuff important for a reason--that moment, a smile, a reverie. The papers tell their own Salazar documentary. There’s the newspaperman’s string book; of hundreds of bylines he keeps a select few, by himself, by other writers. He keeps his parents’ passports, his high school diploma, a warm letter from Otis Chandler. The family includes something Ruben Salazar never saw, a surveillance frame of the target walking along Whittier Blvd. 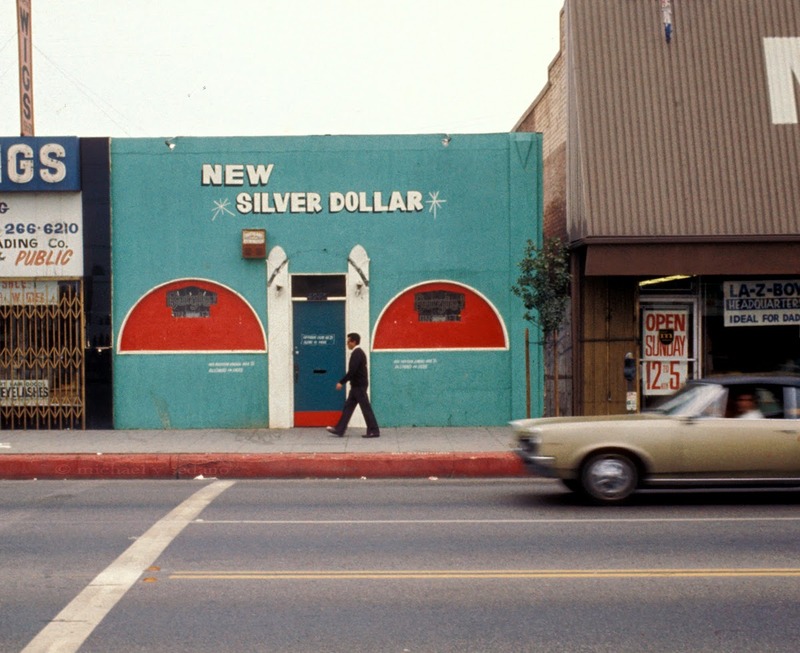 on August 29, 1970 toward the Silver Dollar Cafe. 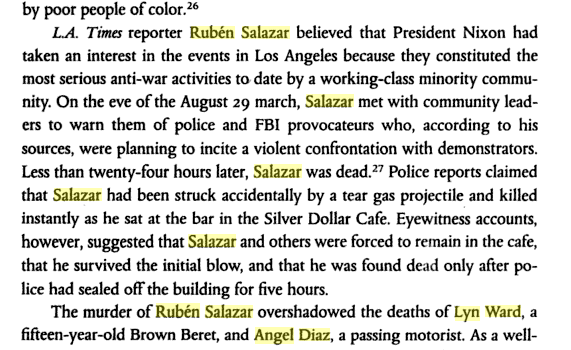 Salazar was one of three chicanos killed during a day of police rioting (Lyn Ward and Angel Diaz died in separate incidents). Until that day, Ruben Salazar served as a one-man information resource about chicanos in the sixties. He informed a cross-section of Angelenos while empowering his subject matter. 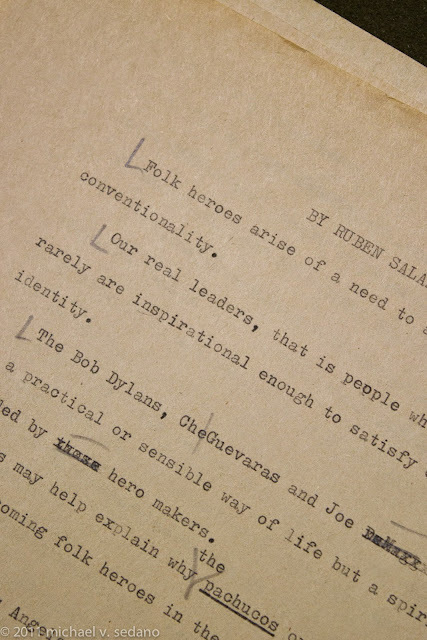 Salazar introduced chicanos to the U.S. Civil Rights Commission, authoring Stranger in One’s Land. 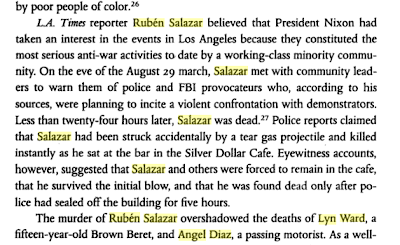 As a Los Angeles Times reporter, Salazar's beat revolved around the region’s growing raza presence. When Salazar took over the television news operation for KMEX, Salazar brought informed journalism to the region’s millions of Spanish-speakers. Some think encouraging the movimiento through fair reporting, and riling up the Mexicans with unbiased news, made Ruben Salazar dangerous. And that got him killed. Chicano and Chicana Experiences of the War. That "US" in front of the serial number means Draftee. 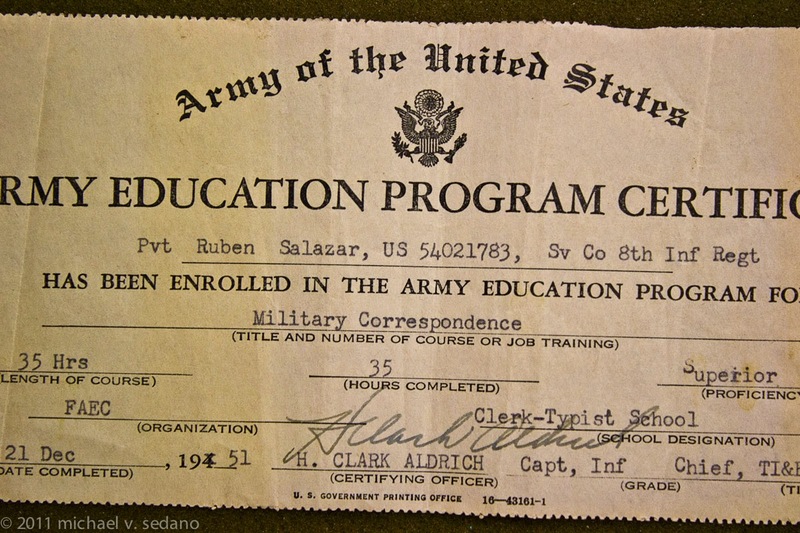 Here 23-year old Ruben Salazar demonstrates superior proficiency in military correspondence over a 35 hour course he completed on December 21, 1951. Pre-information age, every form was typed by hand. The Army churned out so many Military Correspondence students the Certificate is torn from a perforated roll just large enough to contain the words. The typist—likely Salazar himself—makes a typo, Supeiior, that he overstrikes with an “r.” He's a bit sloppy with his shift key causing some capital letters to jump up off the baseline. Good enough for government work. Barbara Robinson, who manages the Boeckmann collections, leafs through a binder. 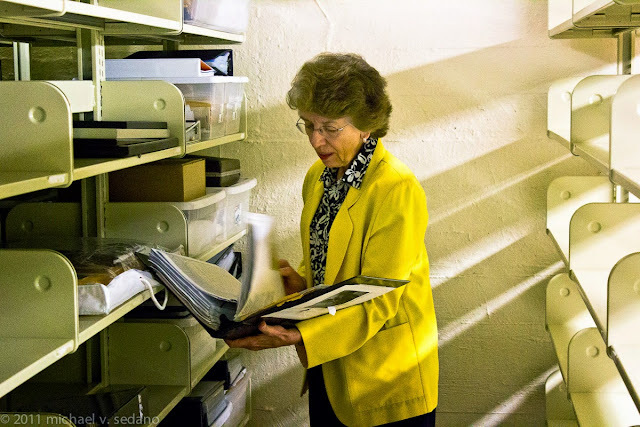 The Salazar collection isn’t large, a few lineal feet of shelf space in the vast archives of USC’s Doheny Memorial Library. For me, there’s sweet coincidence—not an irony—Doheny library lies only a few miles south of the places where Salazar spent much of his work life, the Times and KMEX. A handful of cardboard boxes, some clear plastic bins, a Samsonite briefcase. This is not the stuff generally found in the public records of Salazar’s accomplishments and memorials. These are Ruben Salazar’s personal papers, the mementoes he kept for himself, his private persona. Here’s his stringbook, his birth certificate, his Army MOS qualification. His parents’ Mexican passports. His high school diploma from El Paso High, jumbled together, each document tells its own story. El Paso High School diploma, January 1946. His birth registry places that event in Juarez. He enrolls in El Paso public schools. He keeps an elementary school achievement, and his diplomas. 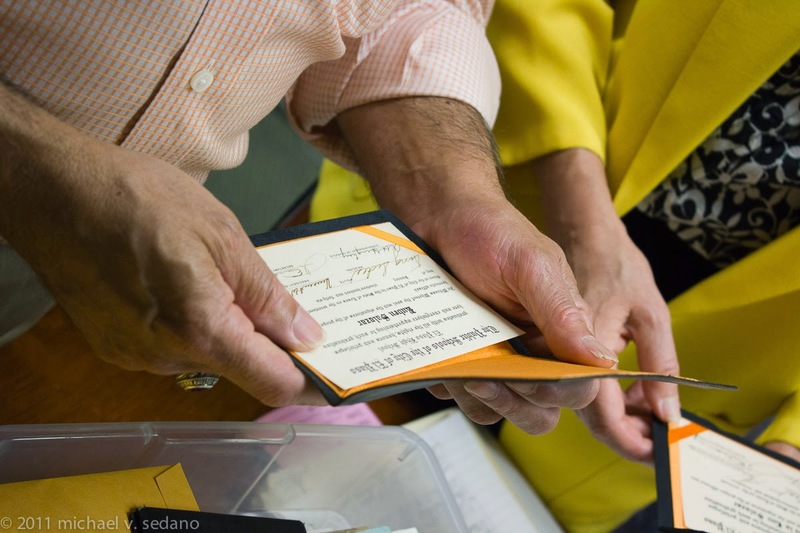 Felix Gutíerrez and Barbara Robinson inspect the Mexican passorts in Salazar's parents names. 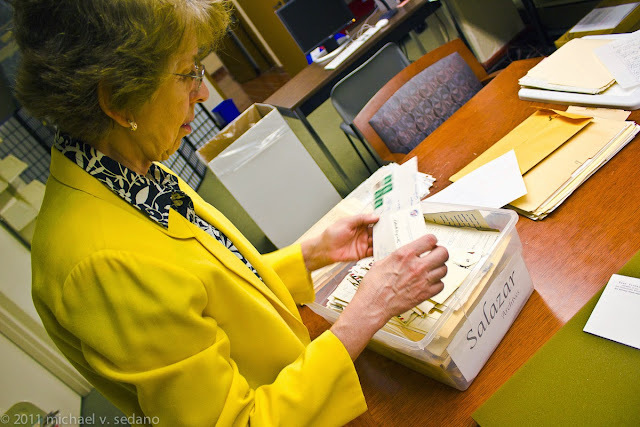 Gutíerrez, a professor at USC, worked with Los Salazar to bring the papers to the Boeckmann Center. 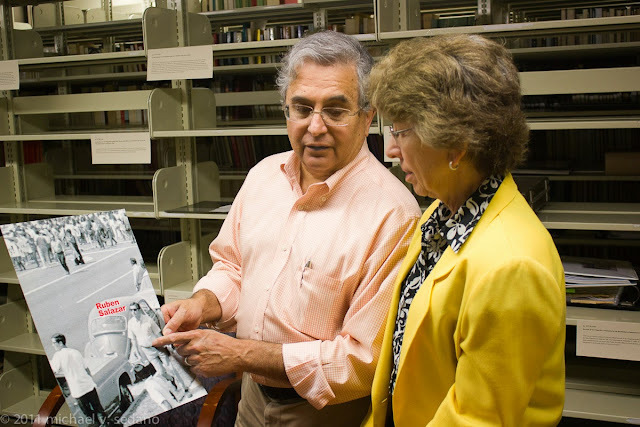 Doheny Library's ever-growing Chicana Chicano and Latin American Literature collection offers formidable resources for scholarly researchers. 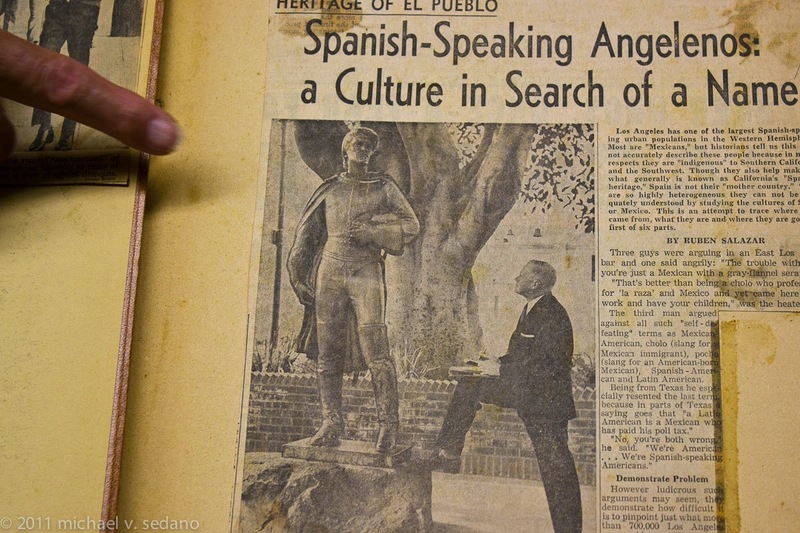 Robinson's stewardship of the Boeckmann collection ensures solid holdings of Chicana Chicano titles, as well as a rich store of Spanish language resources. 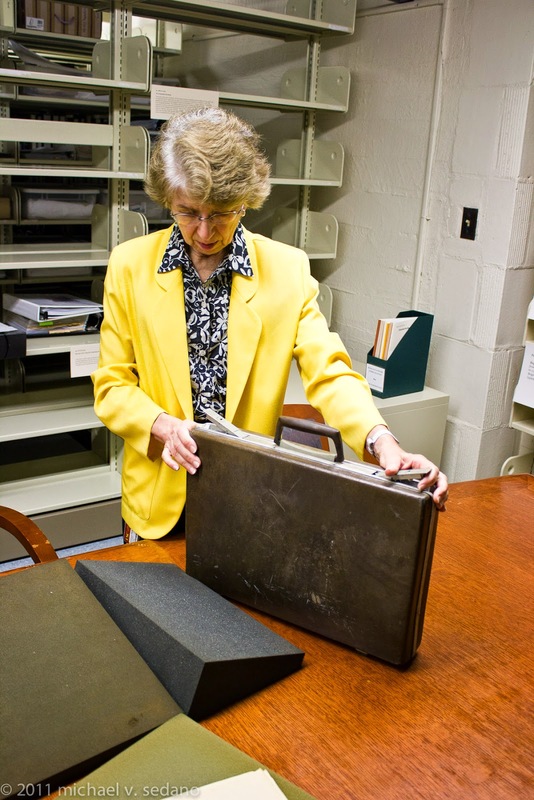 Samsonite attaché cases were a useful fashion rage in the late 1960s. Hard shell case and roomy insides protected files, loose change, flat materials. Salazar's was empty. Salazar's career was reaching apogee in 1970, as this Newsweek magazine article, "Chicano Columnist," indicates. The caption below the foto reads Shake the Establishment, a reputation Salazar earned not as a campaigner but as a working journalist who reported what he saw. Everyday ephemera includes notes, postcards, business cards, manila envelopes with folded anonymous papers the journalist and private man kept with him. 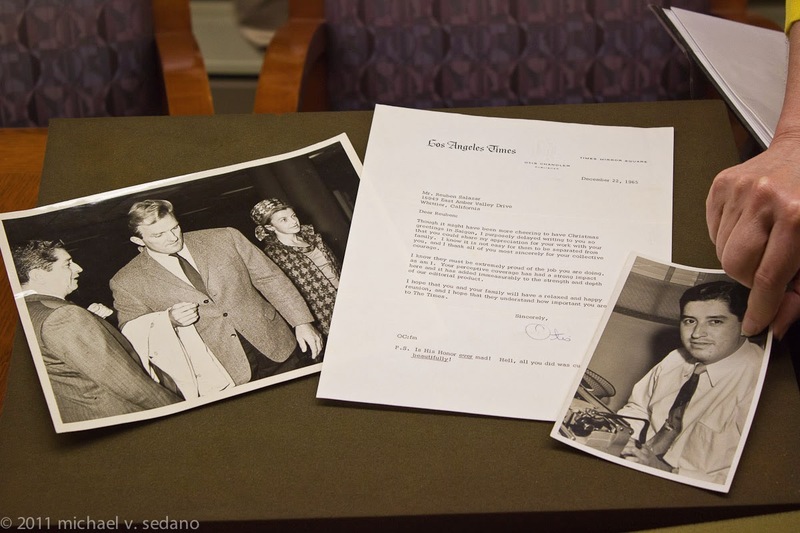 One file folder holds a b&w glossy with Salazar, Otis Chandler, and Marilyn Brant, along with a letter from Otis. There's also a snapshot portrait of Salazar at his typewriter. In his holiday letter, publisher Otis Chandler congratulates employee Salazar on a string of successes, including returning from Saigon. Chandler probably enclosed a check, given the publisher's bonhomie and allusion to Salazar's importance to the paper. The postscript alludes to something Salazar published that drew some judge's ire. Just reporting what's there to report, the p.s. affirms, "Hell, all you did was cut him up beautifully!" 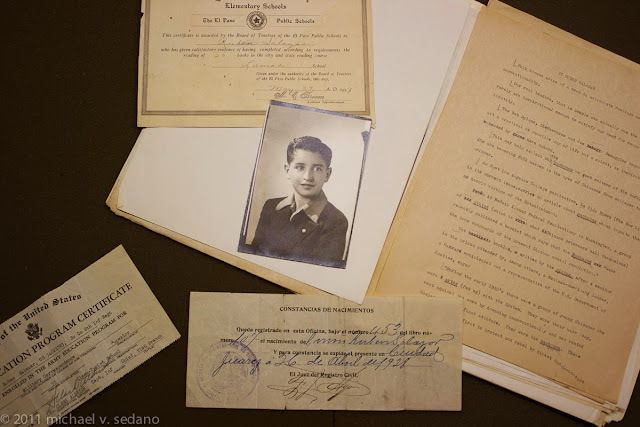 Included in the documents Salazar kept are a receipt for registry of his birth in Juarez, his Army MOS certificate, a draft of one of his final bylined columns, a 1939 elementary school certification for reading 20 books, a portrait of teenager Ruben Salazar. The published version of this draft ran in the Times on July 17, 1970. A month later, Salazar will become a hero malgre lui. Gutíerrez touches Salazar's figure. In the police surveillance photo, Salazar walks from Laguna Park to the Silver Dollar Cafe. The fourth chicanarte film of 2014 debuts in selected AMC theaters May 2, Richard Montoya's screen adaptation of his taut stage drama Water&Power. Water&Power comes in the wake of three razacentric offerings, Cesar Chavez, Cesar's Last Fast, and the Ruben Salazar documentary PBS aired last night. Montoya's project comes with high hopes of setting attendance records for an indie project. Based on the theatrical trailer below, Montoya's noir drama comes with highly stylized cinematography and directorial vision that should be a visual and narrative delight. La Bloga looks forward to hearing your views, and those of your friends, on Water&Power. Why not Organize a big group of friends to celebrate Cinco de Mayo weekend by taking in dinner and a movie? UC Riverside Hosts Latinos in Sci-Fi Wednesday April 30. Science fiction and speculative fiction writers and readers will convene in room INTS 1113 on the UCRiverside campus for a 10 a.m. panel featuring trailblazing writers of speculative and science fiction. Following lunch and informal discussion, a short film screening and panel titled “Latinos in Hollywood and Beyond” will take place, featuring Jesús Treviño, writer and director of “Star Trek: Voyager,” “Star Trek: Deep Space Nine,” “SeaQuest DSV,” and “Babylon 5”; Michael Sedano, La Bloga Latino literature blogger; and UCR Ph.D. candidates Danny Valencia, Rubén Mendoza and Paris Brown, who will address the topics of Latino science fiction, SF as pedagogy in Latino communities, and Mexican dystopias and religion, respectively. The all day event enjoys sponsorship from Department of English CHASS Tomás Rivera Chair Eaton Collection, UCR Libraries Department of Comparative Literature Department of Media and Cultural Studies Mellon Science Fiction Group, Center for Ideas and Society. The event is open to the public and is free, other than campus parking fees, and meals. The Science Fiction and Technoculture Studies (SFTS) program at UC Riverside began in 2007 when College of Humanities, Arts, and Social Studies Dean Stephen Cullenberg decided that the college should have an academic unit to complement the strength of the Eaton Science Fiction Collection in the UCR Libraries, Vint said. Drawing on faculty from across the college, the SFTS program enables students to develop a critical understanding of the cultures of science and their dialectical exchanges with contemporary popular culture. The program currently offers a designated emphasis at the Ph.D. level and soon will offer an undergraduate minor. The curriculum encompasses courses in the social study of science and medicine, the history of technology, creative expression addressing relevant themes, cultural analysis of print and media texts dealing with science and technology, and the cultural differences in technology, including non-western scientific practices. 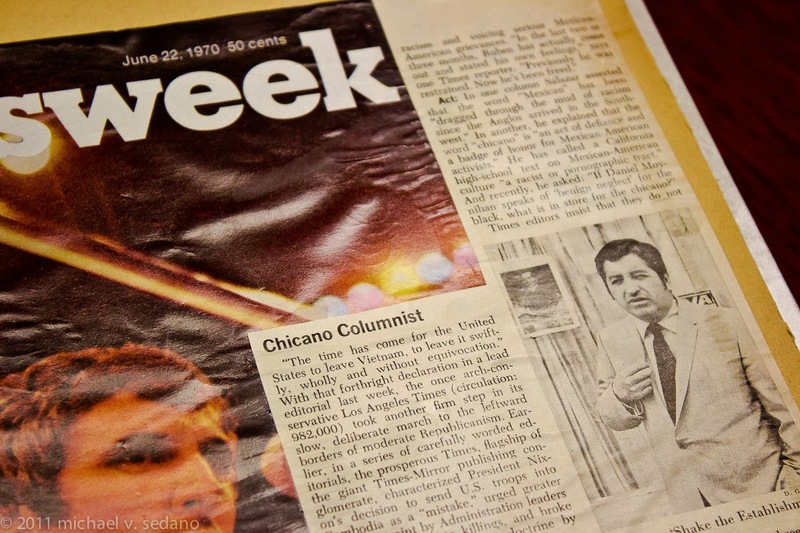 On Friday and Saturday, May 2-3, Cal State L.A. will host a free scholarly and literary forum focusing on well-known Chicano writer Rudolfo Anaya and his literary work, which spans more than 40 years. Anaya belongs to the first generation of Chicano writers who pioneered and charted one of the most vigorous and theoretically-grounded ethnic literatures in the United States. Featuring scholars representing Asia, Germany, Mexico and the United States, the 2014 Conference on Rudolfo Anaya: Tradition, Modernity, and the Literatures of the U.S. Southwest includes two plenary sessions on topics ranging from Anaya's novels to Mesoamerica and the U.S. Southwest. "This conference proposes a re-examination of Anaya's work according to the several phases of his writing, from the early New Mexico trilogy that began with Bless Me, Ultima (1972), to his most recent novels, such as Randy López Goes Home (2011), and The Old Man's Love Story (2013)," explained Professor Roberto Cantú, who is the conference organizer. The conference opens on Friday, May 2, at 8:30 a.m. with hospitality coffee and pastry, followed by a powerful day of lecture and discussion by a cast of international scholars. Saturday's events likewise commence at 8:30. 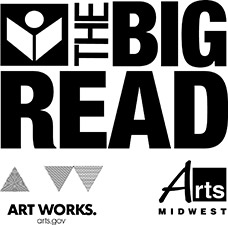 The Big Read is a program of the National Endowment for the Arts, designed to revitalize the role of literature in American culture and to encourage citizens to read for pleasure and enlightenment. Santa Monica Public Library is one of 77 not-for-profit organizations to receive a grant to host a Big Read project in 2013/2014. 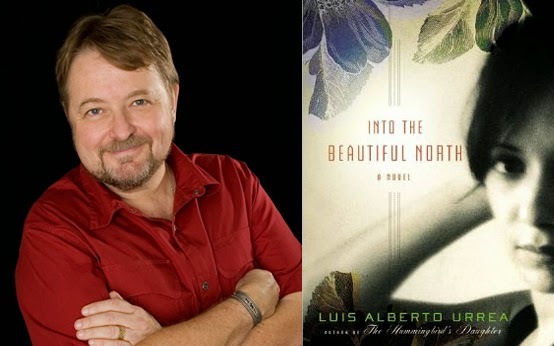 This year, the library has chosen Luis Alberto Urrea’s novel, Into the Beautiful North (Little, Brown), which tells the story of nineteen-year-old Nayeli, who lives in Tres Camarones, a Mexican town nearly empty of men, including Nayeli's father, who went north to the U.S. to seek work. Inspired by the classic film, The Magnificent Seven, Nayeli and her three closest friends are commissioned by the new village president, Nayeli’s Aunt Irma, to travel north into the U.S. to bring back men to protect their town from encroaching drug-dealers. In this classic quest tale, Urrea uses humor and compassion to address issues of cultural differences and to depict the many borders in life that both divide and connect. For a complete list of Big Read events, visit the Santa Monica Public Library’s website. WHAT: Marissa Lopez, author of Chicano Nations, moderates this panel discussion on the history of Latino literature, as well as its contemporary incarnations. Learn about The Big Read author Luis Alberto Urrea’s place in the canon of fiction set in Mexico. 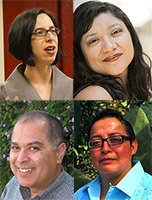 Panelists include Daniel Olivas, author of seven books including The Book of Want; Reyna Grande, novelist, memoirist, and author of The Distance Between Us; and Veronica Reyes, Chicana feminist jota poet and author of Chopper! Chopper! Poetry from Bordered Lives. 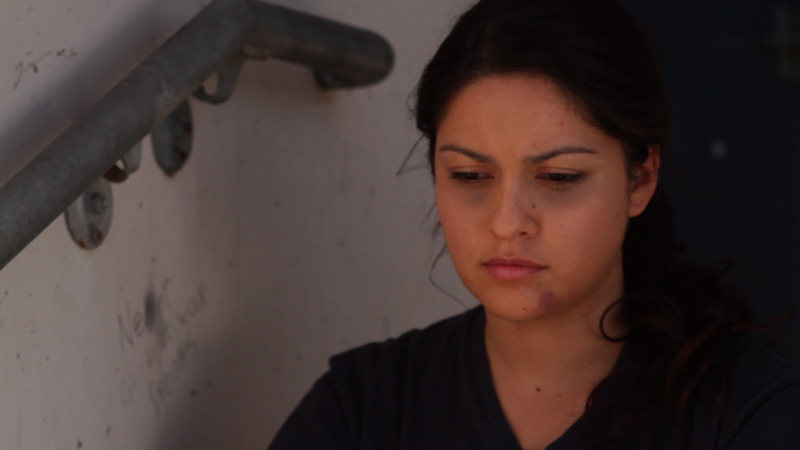 Exploration in Cyclical Trauma: Adelina Anthony Talks About Her Film, "Bruising for Besos"
Yes, La Bloga readers, Adelina Anthony is in the La Bloga house! Award-winning writer, actor, director, producer, Adelina Anthony is a fierce queer-multi-disciplinary-artista presence on stage and in film. Her latest project is the highly anticipated film entitled, Bruising for Besos, and she's here to talk about it. Montes: Saludos, Adelina! So good to have you with us today. It’s been four years since La Bloga writer, Olga Garcia Echeverria interviewed you (click here). In that interview, you were just about to launch your theater solo comedy shows entitled, La Hocicona Series. It turned out to be very successful. Since then, you’ve also appeared in other theater productions, including Cherríe Moraga’s play New Fire—To Put Things Right Again. Describe your journey since 2010. What have the past four years been like for you? Adelina Anthony: The past four years have been an incredible journey of continued growth, creativity, hard-earned lessons and returning to the grounding of why I do my arte. In November 2010, when I launched the comedic performance triptych of La Hocicona Series, it was the culmination of a manda I had set for myself as an artist who wanted to incorporate some of the Xicana Indigenous tenets I had been exposed to by my maestras at the time, Cherríe Moraga and Celia Herrera Rodriguez. Those tenets include rites, working with one’s ancestors, audience as witness, remembering/memory-making and, ultimately, the practice of one’s artistic work as an offering. The teachings led me to a place where I began to claim the identity of a “sacred-clown,” because it honors both my dramatic and comedic voices, and it points to the main aesthetic of these solo works. La Hocicona Series, although primarily couched in comedy, has very theatrical and dramatic moments, where the audience as witness is made privy to the underbelly of the humor. I could not have known in 2010 that four years later, with the publishing of the works by Lorenzo Herrera y Lozano at Kórima Press, I would be a Lambda Award Literary Finalist in the LGBT Drama category. In 2011, I actually moved to the Bay Area to work with Moraga and Herrera Rodriguez on their New Fire collaboration. We had come off of collaborating together in a production of Moraga’s play, Digging Up the Dirt, which premiered the Summer of 2010. The culmination of the New Fire project resulted in one of the most successful audience runs we could have imagined with over 3,000 community members attending to see the work, which was conceived as ceremony on stage. Aesthetically speaking, it was also very ambitious and was a historical “first” in many aspects. And, for audiences who had the “ojos” to see what all of the collaborators were attempting to present, I believe it was very moving. I co-produced, served as assistant director, and played the role of Coyote, the spiritual trickster, i.e. a sacred clown. What most people will never know is the amount of sacrifice that went into the project because of the numerous obstacles presented to us along the way. But in the end, I look back at that intense period and I realize it helped crystallize my own artistic journey for the coming years, and returning to my work in the medium of film was a priority. I had made the decision to do so in the Spring of 2010, and in January 2012, I began adapting my solo play, Bruising for Besos, into a screenplay. 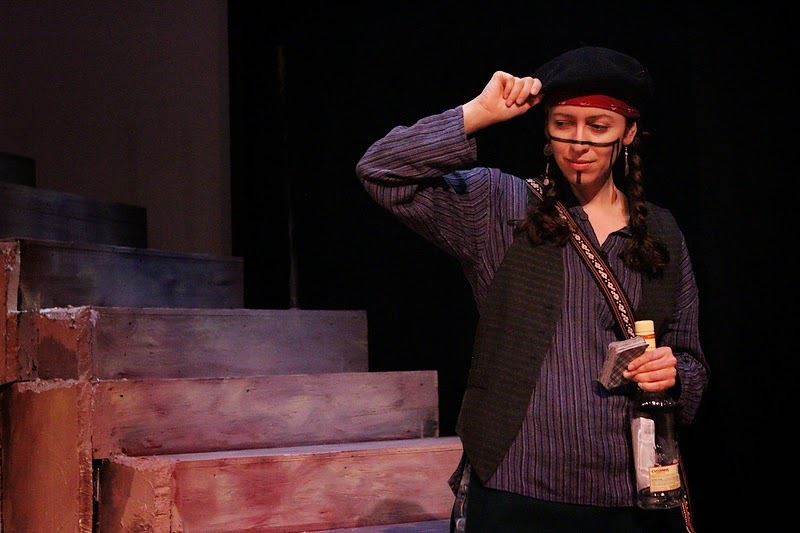 In 2004, the first monologues of the solo play had been initially developed in Moraga’s play-writing classes while I was a graduate student at Stanford. At the end of that year my mother died, and this spiritual tectonic shift changed everything in my life. The significance of that work became ever more deeper. 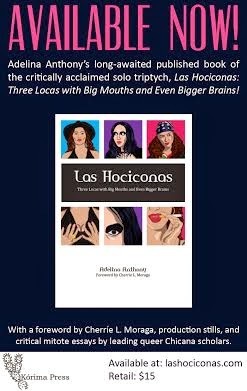 By the time I returned to Bruising for Besos, I had already started La Hocicona Series which I had conceived as an offering steeped in the “epic mundane” life of queer Xicanidad. This is how I’ve always maintained a steady artistic and creative life. I am usually developing several projects at once, giving the bulk of my attention and energy to the one that demands priority. After several major workshop readings including one at allgo (A Texas Statewide Queer People of Color Organization) and later at La Peña Cultural Center, eventually, in 2009 I world-premiered Bruising for Besos at the L.A. Gay and Lesbian Center with Jon Imparato as my producer/dramaturg and Rose Marcario as my director. So it seems fitting that I find myself, ten years later after those initial monologues from Moraga's class, focused on Bruising for Besos as my/our first feature film production, because it’s a return to a work initially conceived as an offering to my ancestors, especially my mother. Initially, the solo play had been intended as a series of solo plays, with one being symbolically offered to each of the four sacred directions. Challenges arose and this intention was postponed. But I have learned over and over again, that sometimes the blessing is not getting what you want, because what will come to pass later is even better than what you could have conceived of. This is how I feel about our film, and I think of returning to that promise I made to my mother during her passing, that I would tell our stories, that her/our life would not be for naught or silenced by her death. She had been asked to carry silence long enough, and I was/am her hocicona daughter who intends to break the silence. Montes: Felicidades on all of these milestones! Our comunidades have certainly benefitted from your work. Now you are moving into the realm of feature filmmaking with Bruising for Besos. How did this come about? Adelina Anthony: At the end of every year, but more so because the period marks my mother’s passing, I become very reflective and take stock of where I am in life as an artist and human being. At the end of 2011, I realized I had to get back on track with my goal to return to film, and I had known since the premiere of the solo play that it would lend itself to a film. But as someone who works in many genres, you learn to respect what each genre offers and its specific rules. Play-writing is not the same as screenwriting. Plays are immersed in language, and while a screenplay has dialogue, it’s also a highly visual medium. So I knew I had to begin to seriously study screenwriting. In January 2012, I started the adaptation process, and I had applied to the Outfest Screenwriting Lab with the first ten pages. When I was invited to submit the rest of the screenplay, it put a fire under me to finish that first draft. And although I didn’t get selected for the lab in the end, I credit that invitation for propelling me forward. I was invited to participate in Outfest Fusion Access, which is an all day series of industry panels and meetings hosted at NBC. It’s an eye opener and you leave feeling very enthusiastic as a queer person of color. After this experience, I was inspired to return to my screenplay and do some more revisions to get ready for submission to Film Independent’s Project Involve Program. I had heard of Project Involve over the years, because almost every queer or filmmaker of color I know has gone through the program. It quickly became clear to me and my pareja, Marisa Becerra, that if I intended to make films, I needed to be closer to the opportunities provided in L.A. So we moved back to Southern California. Moreover, beyond just a mere supporter of my work, Marisa became the co-founder/producer with me of AdeRisa Productions in July 2012. We hit the ground running and went straight into pre-production for our first short film, Forgiving Heart, which world-premiered at the Outfest Queer People of Color Film Festival and just had a screening in Mexico City for a Lesbian festival there. We also Executive Produced Ofelia Yánez’s short film, The Good Kind , which has just started to screen on the festival circuit. In short the last two years have been a serious study of films, film production, studying the inner workings of indie filmmaking and honing my screenwriting skills with my Project Involve mentor and professional story editor, Ruth Atkinson. Bruising for Besos comes out of all of these learning experiences, but, primarily because Marisa has provided undeniable support in myriad facets. She creates the space for me to work as an artist, which might have been curtailed after the economic recession. She’s been as adamant about making this feature film. We tried an Indiegogo campaign last year, but it was not successful, but, again, I thank the universe for that setback. It allowed us to re-focus, re-heal (because we had not stopped moving at a laborious pace since 2011) and it gave me time to go deeper with my script and do a major overhaul, which I’m thankful to my filmmaker friend Masami Kawai for her feedback on a previous version. And then Ilyse McKimme at Sundance Institute sent an inquiry about the screenplay, which eventually landed me in the 2nd Annual Screenwriters Intensive--and that was an exhilarating experience. All in all, feeling very blessed and energized about the manifestation of this work. Montes: Quite a journey to this film! I’m sure La Bloga readers want to know what Bruising for Besos is about. 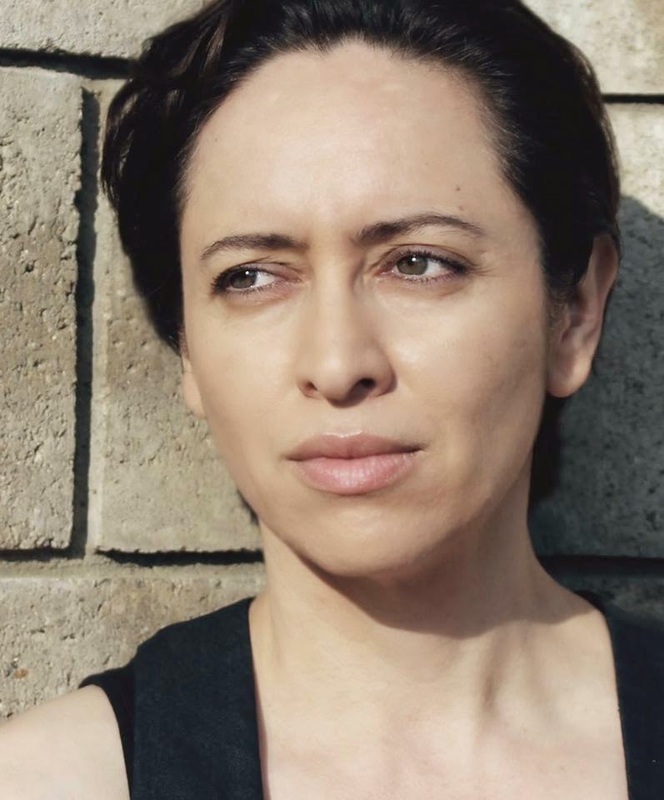 Adelina Anthony: Our logline states: A charismatic Xicana lesbian seduces an alluring Puerto Rican woman and discovers she’s recreating her tumultuous past. I can tell our X/Chican@ audiences that Bruising for Besos explores cyclical traumas, as in domestic abuse in nonqueer and queer relationships. The protagonist, Yoli, has to make the metaphorical, spiritual and physical return home. Although she's recreated familia for herself through friends and loved ones, unfortunately, she's also recreated the old family dynamics she learned as a child. I’ve never shied away from taboo or heavy themes, because I know the value in exposing these issues and stories. Plus, I’m always consciously utilizing sacred-clown aesthetics and giving my audiences respite and breath. Montes: Yes, your comedic timing is brilliant, coming right at a time in the play when we are filled with the tension and then, you bring us laughter! In La Hocicona Series, you played a number of characters that took us on these journeys. Are you doing the same in this film or do you play only one character along with a full cast? Adelina Anthony: One of the reasons I wanted to move into filmmaking was for the opportunity to create roles for other queer/trans people of color and allies. I am very proud to say that in Bruising for Besos, I only play Yoli, and that the world of the film is peopled by such a diversity and complexity of characters that it will be a first of its kind in many ways. I wrote a major role for one of my best friends, D’Lo, a Tamil Sri-Lankan American Transgender artist. And we just held auditions in L.A. this past March and have cast it with such amazing talent from our communities, that as a director I couldn’t be more excited to work with these actors. The acting alone is going to be riveting, this we promise you. Montes: Who are some of the other actors you just cast? Adelina Anthony: We've cast queer women of color actors such as Natalie Camunas, Lawrencia Dandridge, and Brenda Banda as well as women of color allies like Puerto Rican actor Carolyn Zeller, Asian American comedienne extraordinaire, Kristina Wong, and Xicana actor-singer, Marlene Beltran. 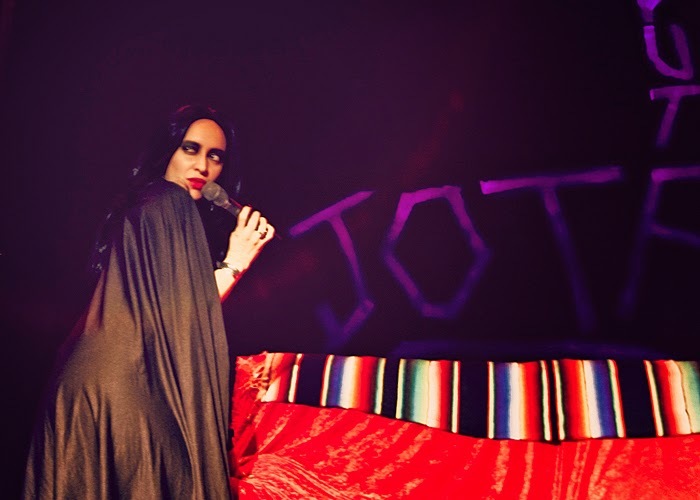 There are also a number of other queer/trans people of color in featured cameo appearances including queer ranchera singer, Magaly La Voz de Oro. We're even going to showcase some of our visual artists by having their works appear as part of our production design: young artists like Cynthia Velásquez and Edgar-Arturo Camacho-González and other more established artists we admire. Montes: We cannot wait! As for your work in theater and film, what do you love about theater life, and how is it different from film? Do you love one more than the other? Adelina Anthony: I will always be a teatrista. I love the uniqueness of the experience, it’s ephemeral quality, and the kinetic energía that transmits between performer and audience. Film never provides that exchange of energía, but it has its own special prowess and its audience reach is one of them. Even as I have moved into filmmaking, I will always continue to work on the stage, but I will just be more selective about when and why. I started to workshop La Malcriada Series, which is the boi-butch-macha counterpart to La Hocicona Series. So in time, I’m sure my theatrical shenanigans will have me back on that stage where my connection to my comunidades is instantly felt. Montes: Have you worked in film before? Adelina Anthony: Yes, primarily as an actor when I was being professionally represented by the Mary Collins Agency in Dallas. Because of my high school drama teacher, Mr. Martín, I had done a couple of stints in background work which exposed me as a teenager to a production set. When I landed in L.A. as a buxom, high femme at the age of 24, bueno, you can imagine what auditions were like--yuck. Thankfully, I was in my queer Chicana skin by then, and I was out and politically vocal, so I realized very quickly that auditioning for the typical beer commercials or walking into a room full of men who gawked at me was not in line with my feminist politics. A year into these kinds of auditions, I surmised very quickly that if I wanted to maintain my own cultural voice and sense of integrity, I had a better chance of doing it through theater, where at the very least, I could self produce if necessary. It was challenging for other reasons, and I had naysayers all along the way, but I have no regrets. Every now and then I would do a cameo or production role for a friend working on a short film. Montes: Are you the sole writer of the script or are you working with a writing group? I am the sole writer. Montes: And are you also the director? Adelina Anthony: Yes, I am the director. I have a clear vision for this film, and the best collaborators I could wish for, including my producer Marisa and my co-producer, Karla Legaspy. It’s a highly collaborative art form, just like theater. Montes: And in this collaborative journey, what all goes into the shooting of a film, and is it similar to stage production? Montes: For those of us who are not familiar with film, what are some other factors that happen during the filming. For example, with a tight budget, I imagine that everything has to be ready and filmed in a certain number of days, yes? What else? Adelina Anthony: Yes, film is very reliant on pre-production. And even with the best preparedness, a challenge will present itself on set. They call it Murphy’s Law. And you have to shoot it all within your time frame because usually that’s all your budget will allow. Despite any challenges we will face, as a company, AdeRisa Productions has implemented a work model that cares for our cast and, especially our crew, in a more holistic manner. So we do our best to keep ten hour days, instead of the usual 12-14 hours (or more) on a production set. Also, unlike theater, one does not shoot the story in the order it unfolds. So you may be shooting the end of the film one day, the beginning the next, and be somewhere in the middle by the end of your shoot. This is because you’re relying on location and actor availability. Personally, I don’t work with story in a purely linear fashion, so the production process sits well with my Xicana sensibilities around time and space. Plus, it really forces you as a director and actor to know your trajectory, to have a clear understanding at each juncture where your character is supposed to be on her journey. Montes: How are you acquiring funding for the film.? Adelina Anthony: Bueno, as you can imagine, because of the nature of the work, we’re not being funded by any major investor or grant. This is all about grassroots online funding, but, fortunately, this time around we’re going through AIM/Hatchfund gracias to Alma López who introduced me to my Program Officer, Stephany Campos. As an artist, this is the best platform available for so many reasons, from the one-on-one guidance you and your project receive, to the fact that it allows for your donors to make fully tax-deductible contributions (and they still get perks) to our film. We only need to raise $30,000 to get us into production this July. We just need to shoot the film and worry about the post-production component afterwards. It’s also not uncommon for indie filmmakers to do their films in segments, because of the financial struggles. We know our film will eventually cost us closer to $100,000, but that’s after post-production costs come in. And this is relatively cheap for an indie film, when one considers that Hollywood spends in the hundreds of millions and that indie films can average $250,000 to 2 million. In fact, we spent $125,000 for New Fire, so our budget is cheaper than most major theater productions too. Montes: Where do you plan to show the film? Adelina Anthony: EVERYWHERE. But, seriously, we’re making plans now for venues where our ideal audiences exist, and like my theater work, that means thinking outside of the traditional “presentation” box. Montes: In 2012, Aurora Guerrero came out with “Mosquita y Mari.” It played at Sundance and other Independent festival venues. Is this your plan for “Bruising for Besos”? 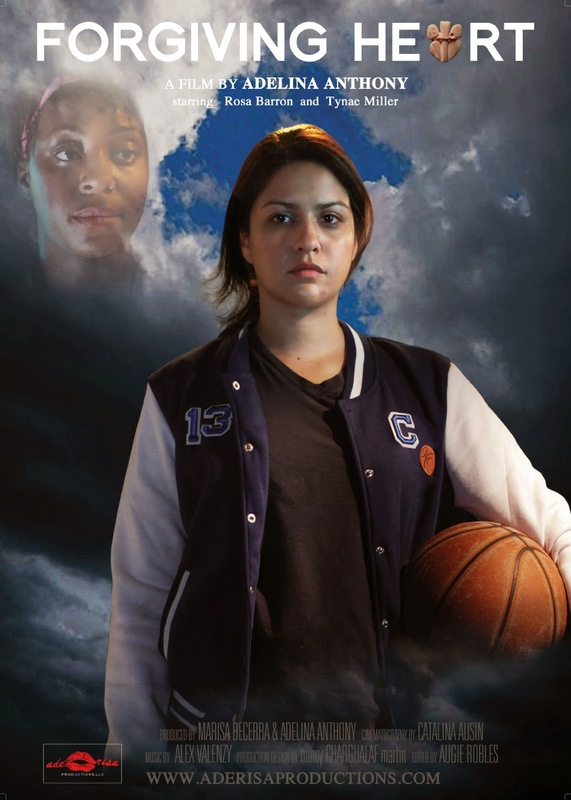 Adelina Anthony: We are all huge fans of Aurora, of her team, and of what they accomplished with the beautiful and groundbreaking film that is Mosquita y Mari. I think the film circuit is still a viable and necessary component for indie filmmakers, so we do plan to use the festival circuit. Traditionally, if you want to pick up a distributor for your film, the fest circuit is your best shot. But this is also shifting and the industry has been talking for years now about the major upheaval in distribution models. With the advent of the Internet, there are other options. We are going to stay open to all of the experiences and go with the best option for the film to reach as many of our audiences as possible. Montes: So, Adelina, La Bloga readers want to know: in 2010 you described yourself as a queer-multi-disciplinary-artista. What are your thoughts on this description four years later? Adelina Anthony: I do claim that identity, as well as many other progressive and indigenous identified markers. I’m as comfortable with terms like jota, lesbian, two-spirited, Xicana, and interdisciplinary artista. As Bonfíl Batalla states in México Profundo, “Naming oneself is power.” Too many of my ancestors, cultural activists, and artists from previous generations sacrificed and agitated for us to walk wholly in our skins. My embodied political identities inform my work and I continue to form these spaces without apology. As an artist, the multi and inter-disciplinary terms are apt because I am always exploring different genres, trying to figure out the best “home” for the work—be it a poem, a short story, a play, film, or hybrid of these genres. Montes: Is there anything else you’d like to add? Adelina Anthony: I know that we’ve all been very touched by the initial support from our communities. We’re going to work very hard to give them a film, an offering, that we hope will lead to a lot of necessary dialogue and much needed healing in our familias. We’re honored to be part of this wave of queer/trans/ and people of color filmmakers who have made such incredible films like Pariah, Mosquita y Mari, Circumstance and A Gun Hill Road to name a few. We’re indebted to our spiritual elder, nancy Chargualaf martin, who continues to hold us in prayer with her Chumash and indigenous circles. In the end, we know this is the only reason we’re making this film, for our stories to be held in community. Contribute to Bruising for Besos with a Tax-Deductible Donation (plus perks) by May 8, 2014. Posted by Amelia ML Montes at 1:00 AM 1 comments. Click here to leave a comment. Border-patrolling us. Fabulist fiction contest. Hard SF contest. L.A. latino sci-fi workshops. Most U.S. citizens tend to think stopping undocumented workers at the border is a good thing that won't affect them. They should check out Todd Miller's new book about what militarization has done to the Land of the Free. 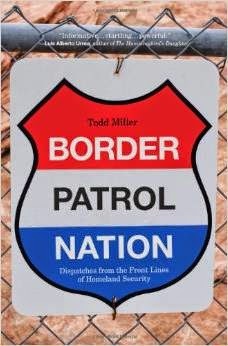 It's entitled Border Patrol Nation: Dispatches from the Front Lines of Homeland Security and here's some facts from it. "The U.S. borders have long been Constitution-free zones where more or less anything goes, including warrantless searches of various sorts. In the twenty-first century, however, the border itself, north as well as south, has not only been increasingly up-armored, but redefined as a 100-mile-wide strip around the country. See a bigger No Constitution map. 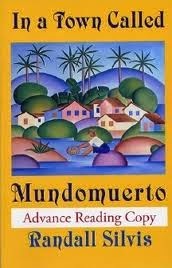 I own a copy of a previous winner, In A Town Called Mundomuerto, and love the magical realist writing of author Randall Silvis. Anyway, the submission period for this contest doesn't begin until August, but this posting will give you speculative fiction writers time to get manuscripts prepared. There is a reading fee. The winner of the annual Omnidawn Fabulist Fiction Chapbook Competition receives a $1,000 prize, publication of their chapbook with full-color cover, 100 copies, and display advertising and publicity. Fabulist Fiction includes magic realism and literary forms of fantasy, science fiction, horror, fable, and myth. Stories can be primarily realistic, with elements of non-realism, or primarily, or entirely non-realistic. Open to all writers. All stories must be original, in English, and unpublished. 5,000 to 12,000 words, consisting of either one story or multiple stories. Online entries must be received between Aug. 1 and Oct. 22, 2014. Reading fee $18. We expect to publish the winning chapbook in August of 2015. About Omnidawn: "Since 2001, we publish writing that opens us anew to the myriad ways that language may bring new light, new awareness to us. Click to get reminders and on their mailing list. Click for all the info and the postal and online submission procedures. If you're more into writing "hard" sci-fi, here's a contest with a $1500 honorarium and only requires one-page about what you would write! No reading fee. "Authors should submit a précis or brief treatment (no more than 250 words) of a science fiction story idea that explores themes in science, technology, and society. Submissions must be received by June 1, 2014. "Stories should fall into one of the following five theme areas: Big data / artificial intelligence / brain science; Education / jobs / future of the economy; Defense / security / privacy / freedom; Biomedicine / genetics / health / future of the human; Future of scientific research / automation of research & discovery. IST will select up to five semi-finalists for each category. Authors will have 3 months to submit their story, between 2,500 and 5,000 words. Winning stories will be published in IST, and authors awarded a $1,500 honorarium. Read all the details." Issues in Science and Technology (IST), a quarterly journal that explores the intersections of science, technology, society, and policy. The editors of IST believe science fiction (SF) can help to bring key challenges and dilemmas in science and technology to an influential readership in new and compelling ways. Scientists, engineers, researchers, and policymakers often only see small pieces of an issue. SF writers can imagine entire worlds. By fully thinking through how today’s critical issues will play out, science fiction inspires, cautions, and guides those shaping our future. Throughout 2015, IST will publish one SF story per issue, on topics of broad societal interest. Find out about the camp and how you can help. And if you haven't heard yet, I'll be in L.A. next week and hope to meet and talk with everyone who can attend. This is a precedent-setting gathering of 6 Latino sci-fi authors! What could happen? Quién sabe, pero vamos a ver. The Science Fiction and Technoculture Studies Program at University of California, Riverside will host “A Day of Latino Science Fiction” next Wednesday, April 30, to be held in the Interdisciplinary Symposium Room (INTS 1113). Free and open to the public. The morning author panel will feature 1. Mario Acevedo, author of the bestselling Felix Gomez detective-vampire series (The Nymphos of Rocky Flats, chosen by Barnes & Noble as one of the best Paranormal Fantasy Novels of the Decade, and finalist in the Colorado Book Awards and the International Latino Book Awards. 2. Science-fiction and cyberpunk novelist Ernesto Hogan (Cortez on Jupiter); the co-authors of Lunar Braceros 2125-2148, 3. Rosaura Sánchez and 4. Beatrice Pita. The afternoon panel features writer and director 5. 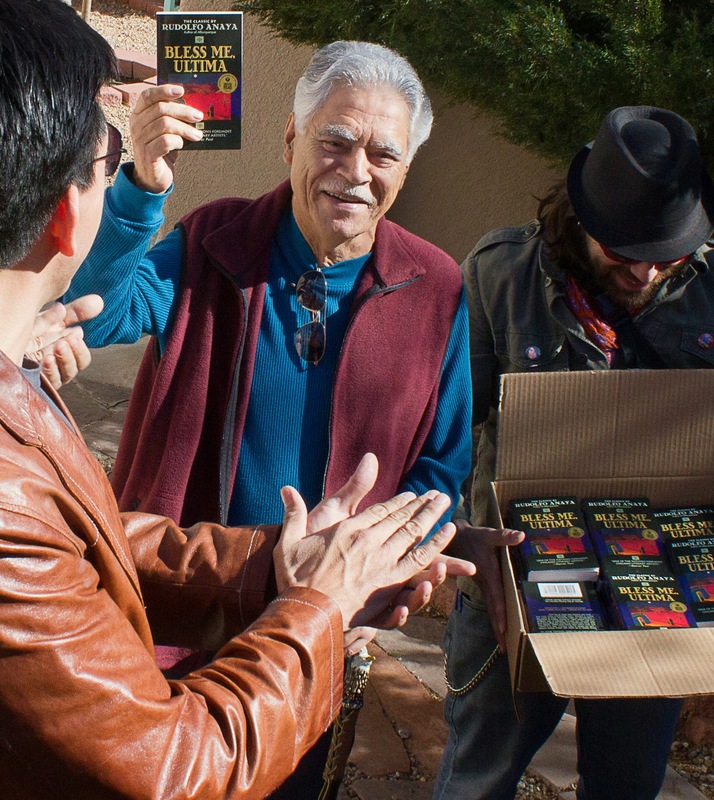 Jesús Treviño (Star Trek: Voyager, Star Trek: Deep Space Nine, and Babylon 5 and the book The Fabulous Sinkhole); and Michael Sedano, La Bloga Latino lit blogger; as well as Ph.D. candidates Danny Valencia, Rubén Mendoza and Paris Brown. 6. I'll be there talking about my alternate-world fantasy novel The Closet of Discarded Dreams (and about sci-fi stories) that took honorable mention in the International Latino Book Awards’ Fantasy/Sci-Fi, last year. Come and find out about getting your spec lit published, the market for Latino sci-fi, the state of Latino spec lit and what the future might hold for our obras. It should be a chingón time, and we hope you come to add your voice and opinions. Check the details, especially about parking.